With all of the Xbox Kinect modding going on and Microsoft’s new menu-gesture updates to Kinect for Xbox, we’ve been wondering if Microsoft has any plans to open the Kinect motion camera up to PCs and other devices. Until now, the answer has been “no comment.” For the last two days, I’ve been asking Microsoft executives and employees at CES if they knew anything about this and the answer has always been, that it sounds like a cool idea but there are no plans at this time. 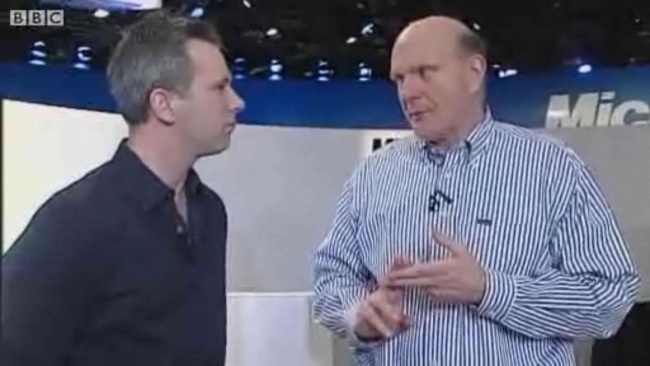 Well, the BBC finally got a confirmation from the big man himself, CEO Steve Ballmer. Do you want to make motion gestures or speak to play games and navigate menus on your PC or other products? Microsoft is certainly trying something new with Kinect. It will be interesting how they capitalize on the buzz from here.